I did this post initially on Paper, Paint, Pencils, and Pens. 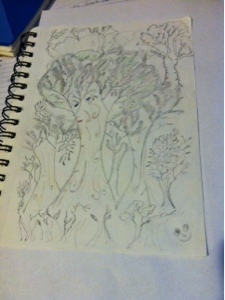 So here is a tree my son Charles, did a while back. 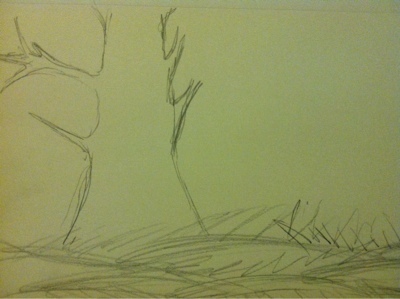 Here is one he did recently, because I told him of the the upcoming theme. 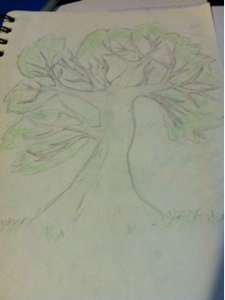 This last one is one I drew a while back, when I wanted to learn how to draw a tree. As someone with NO artistic talent, I must compliment you!